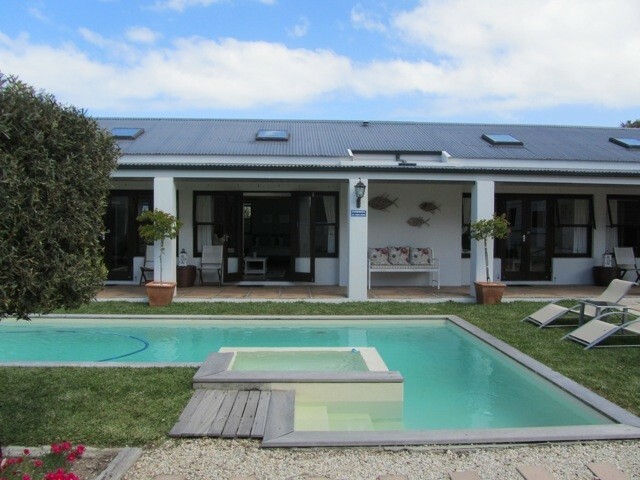 Welcome to Hermanus and Sixteen Guest Lodge on Main. Nestled between the mountains and the sea, we are located a mere 5 minute walk from the town centre and the spectacular Walker Bay seafront. Each suite at Sixteen Guest Lodge on Main is stylishly decorated with a TV area and large en-suite bathroom with separate bath and shower facilities. Three of the suites have inter-leading doors to twin bedded suites for family bookings. All suites have separate entrances onto the pool and garden area.